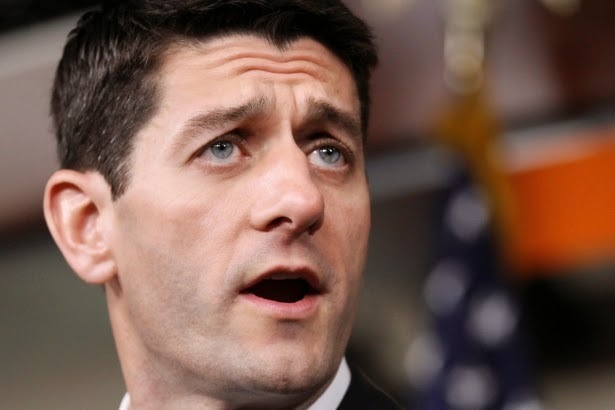 Over at The Nation magazine MSNBC host, Melissa Harris-Perry, wrote a very compelling article as to explain why there is no difference between comments expressed by Paul Ryan when it comes to inner cities and the policies that are put forth by the Democratic Party. It was future Democratic Senator Daniel Patrick Moynihan whose 1965 report argued that a tangle of pathology, typified by female-headed households, was responsible for reproducing poverty among urban African-Americans. Like Paul Ryan, Moynihan leaned on academics such as anthropologist Oscar Lewis, who argued that poverty produced value systems that prevented those born into poverty from working their way out. Then, in the 1990s, Democratic President Bill Clinton declared “the end of welfare as we know it.” He cited the influence of William Julius Wilson (who ultimately opposed Clinton’s reforms), the pioneering black sociologist whose acclaimed 1996 text, When Work Disappears, argued that while policy-makers and private industry initially caused economic decline in urban areas, this disinvestment led to cultural patterns that devalued labor in poor black communities. “My Brother’s Keeper” was announced just days after a Florida jury was unable to convict Michael Dunn of first-degree murder for shooting into a car of unarmed black teens after a dispute about hip-hop music. Jordan Davis was shot to death because of Dunn’s assumptions about the meaning of his cultural expression. And “My Brother’s Keeper” launches under the long shadow cast by the acquittal of George Zimmerman for the death of Trayvon Martin in a trial that put the teen culture of the dead boy—from his clothing to his Twitter account—on trial in both the courtroom and the media. The White House responded by launching an initiative to intervene with young black boys. The shootings of Trayvon Martin and Jordan Davis, and the Florida juries’ response, might suggest that the culture in need of intervention is that of white men who carry firearms. But social science has spent little time debating the tangle of pathology that ensnares the privileged. We are trained to intervene with those who lack resources, to find the problems there, and to ignore the perpetrators of the inequality. Even our thoughtful, well-meaning, African-American, Democratic president reacts according to these assumptions. Harris-Perry has some very interesting point. I would love to hear what you think. I haven't read the article in its entirety. But I think it is a mistake to conflate incidents. There are problems at both macro and micro levels pertaining to black men and other underserved communities. There is merit to what MHP is saying as many blacks have internalized the negativity and believe that the cause of our distress solely lies within us. Yet I think it is unfair to say that President has "ignored the perpetrators of the inequality." To me I think it is important to distinguish between those who have absolutely no interest in our well-being and those who do though they may be imperfect in how they advocate for us.